Instead of demanding blue-ribbon safety science and encouraging honest, open and responsible debate on the science, too many online outlets are silencing critics and shutting down discussion on this key public health and civil rights issue. Slate recently published an investigative report detailing how pharmaceutical giant, Merck, used “flawed” and “unreliable” pre-licensing safety studies to push through approval of its multi-billion-dollar bonanza, the HPV vaccine. For veteran safe vaccine advocates, like myself, the most shocking aspect of the expose was that Slate published it at all. Slate and other liberal online publications including Salon, Huffington Post and Daily Beast customarily block articles that critique vaccine safety in order, they argue, to encourage vaccination and protect public health. Motivated by this noble purpose, the liberal media—the supposed antidote to corporate and government power—has helped insulate from scrutiny the burgeoning vaccine industry and its two regulators, the U.S. Food and Drug Administration (FDA) and Center for Disease Control and Prevention (CDC). Both agencies have pervasive and potentially corrupting financial entanglements with the vaccine manufacturers, according to extensive congressional investigations. … a mere five days of safety testing! If the babies in these studies had a seizure — or died — on day six, Merck was under no obligation to disclose those facts. The Slate article nowhere discloses that FDA licenses virtually all vaccines using the same mawing safety science deficiencies that brought us Gardasil. FDA claims that “Vaccines undergo rigorous safety testing to determine their safety…” It’s not true. FDA’s choice to classify vaccine makers as “biologics” rather than “drugs” opened a regulatory loophole that allows vaccines to evade any meaningful safety testing. Instead of the multi-year double-blind inert placebo studies—the gold standard of safety science—that the FDA requires prior to licensing other medications, most vaccines now on the CDC’s recommended childhood vaccine schedule were safety tested for only a few days or weeks. For example, the manufacturer’s package insert discloses that Merck’s Hep B vaccine (almost every American infant receives a Hep B shot on the day of birth) underwent, not five years, but a mere five days of safety testing! If the babies in these studies had a seizure—or died—on day six, Merck was under no obligation to disclose those facts. Furthermore, many vaccines contain dangerous amounts of known neurotoxins like mercury and aluminum and carcinogens likem formaldehyde, that are associated with neurodevelopmental disorders, autoimmune problems, food allergies and cancers that might not be diagnosed for many years. A five-day study has no way of spotting such associations. Equally shocking, FDA does not require vaccine manufacturers to measure proposed vaccines against true inert placebos, further obscuring researchers’ capacity to see adverse health effects and virtually guaranteeing that more subtle injuries, such as impaired immune response, loss of IQ or depression, will never be detected—no matter how widespread. Furthermore, the CDC has never studied the impacts on children’s health of combining 50 plus vaccines. Strong economic drivers, (pharmaceutical companies are the biggest network advertisers), discourage mainstream media outlets from criticizing vaccine manufacturers. A network president told me he would fire any of his news show hosts who allowed me to talk about vaccine safety on air. “Our news division,” he explained, “gets up to 70% of ad revenues from pharma in non-election years.” Furthermore, liberal activists including environmental, human rights, public health and children’s advocates also steer clear of vaccine safety discussions. On other core issues like toxics, guns and cigarettes, the CDC has a long record of friendly collaboration with these advocates who have thereby acquired a knee jerk impulse to protect the agency from outside criticism. 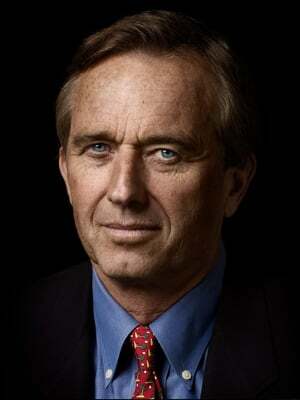 About the Author: Robert F. Kennedy, Jr. is Chairman of the Children’s Health Defense and his reputation as a resolute defender of the environment stems from a litany of successful legal actions. Mr. Kennedy was named one of Time magazine’s “Heroes for the Planet” for his success helping Riverkeeper lead the fight to restore the Hudson River. The group’s achievement helped spawn 300 Waterkeeper organizations across the globe. This Article: Vaccines and the Liberal Mind originated on childrenshealthdefense.org and is published here by contribution with attribution to author Robert F. Kennedy, Jr. and the Children’s Health Defense Team and website.